Road guardrail roll forming machine is used to make guardrail fence on high way.our roll forming machine is driven by reduction box which can guarantee to make 4mm guardrail.If your max mateiral thickness 3mm,you can consider by chain driving,that type is cost effective. The driving of our roal guardrail roll forming machine is gear box,that is more stable than chain driving machine while forming thicker raw mateiral.And extram beam is required to fix guardrail.punching holes are required on that.Common thickness 3-4mm.The driving of guarail forming machine is different. 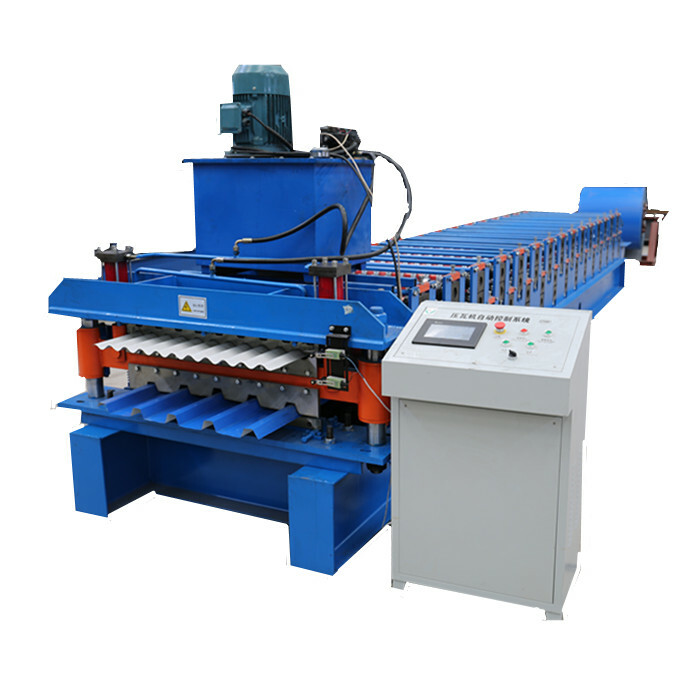 Our 2 wave guardrail roll forming machine is composed of Auto Decoiler,sheet leveling,main forming machine,punching system,and hydraulic Shearing Machine.Different length can be made as your request. Looking for ideal Road Guardrail Roll Forming Machine Manufacturer & supplier ? We have a wide selection at great prices to help you get creative. All the Highway Safety Barrier Machine are quality guaranteed. We are China Origin Factory of Guardrail Cold Roll Forming Machine. If you have any question, please feel free to contact us.